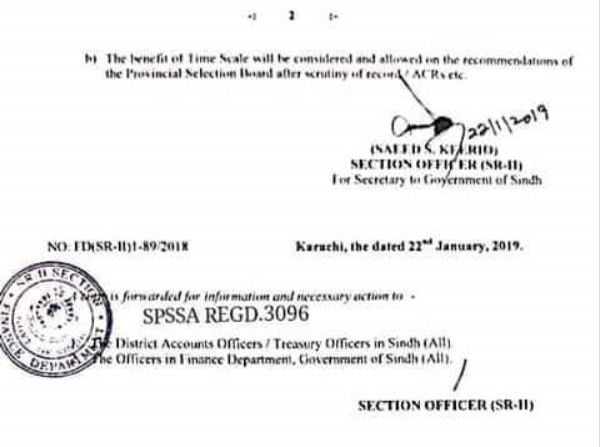 Notification of Sindh Government dated 22nd January 2019 Finance Department regarding Subject Teacher Salary after Time Scale Promotion Sindh Education & Literacy Department. In compliance to Supreme Court of Pakistan dated 19-07-2017 CP No. 130K/2017 and with the approval of competent authority i.e. Chief Minister Sindh. 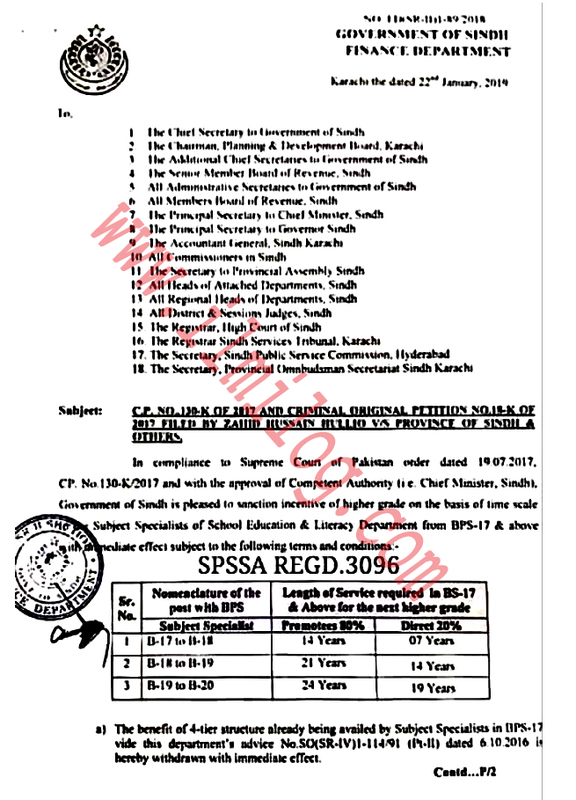 A government of Sindh is pleased to sanction higher grade on the basis of Time scale to Subject Specialists of School Education & Literacy Department from BPS-17 & above. 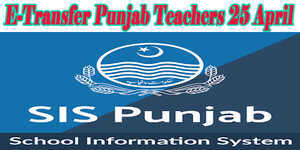 · The benefit of 4-tier structure already being availed by subject specialists in BPS-17 in this department advice No. SO (SR-IV) 114/91 (Pt-II) dated 06-10-2016 is hereby withdrawn with immediate effect. · The benefit of time scale will be considered and allowed on the recommendations of the provincial selective board after scrutiny of testimonial/ ACRs etc.